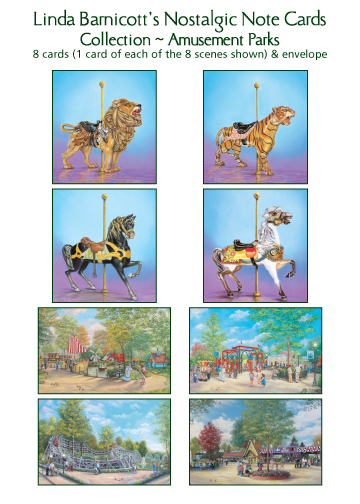 Painted in rich, brilliant pastels, the sleek hunting physique of “Kennywood’s Tiger” sets her apart from her fellow horses, entitling her queen of this historic carousel. 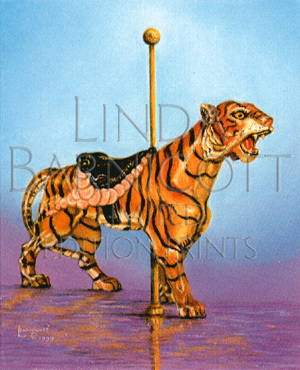 Riding low in her saddle, adventuresome children are taken by the strength and beauty of “Kennywood’s Tiger”. 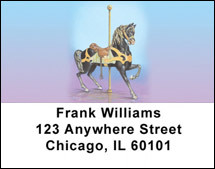 Their imagination transports them into the African wilderness in search of the brass ring.